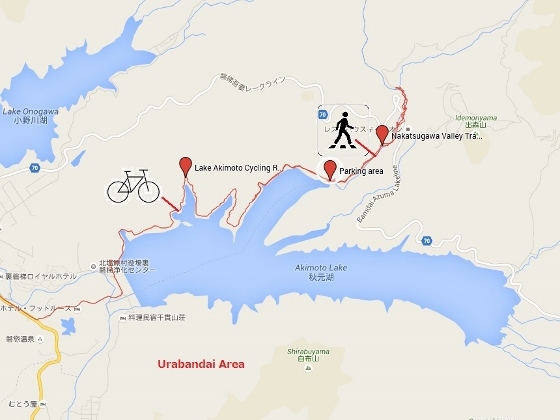 On the way back to Koriyama, I pedaled along Lake Akimoto Cycling Road which winds through the northeastern shore of the lake. And then I walked along Nakatsugawa Valley trail. 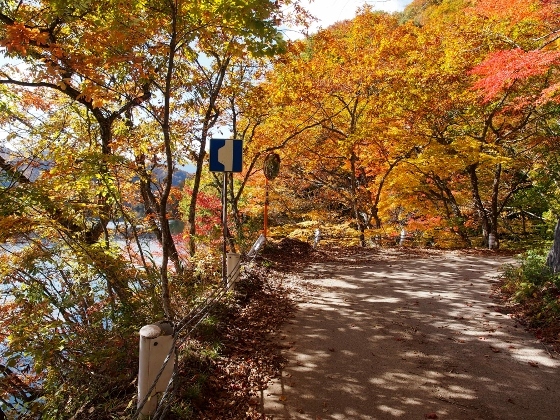 Lake Akimoto Cycling Road is a narrow but mostly paved road along the northwestern shore of the lake and is about 5km long. Auto is allowed on the road with careful watch for bike. 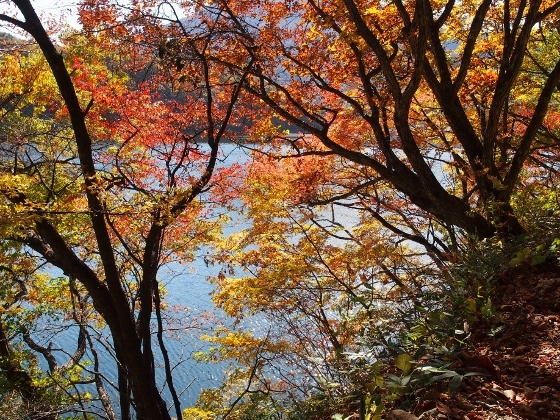 Today, autumn leaves were colorful with red, orange and yellow along the road as shown in the pictures above. There is a parking area at the end of the road and a trail along Nakatsugawa (=the Nakatsu River) Valley trail starts from there. 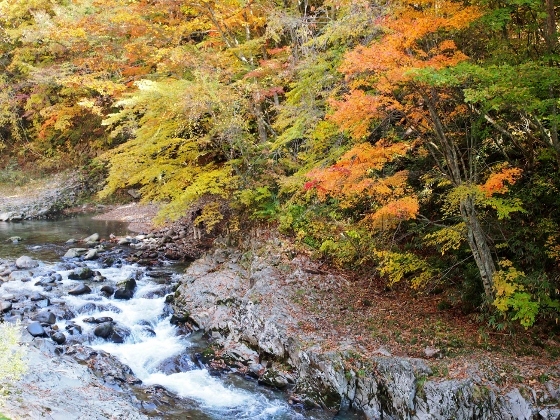 The Nakatsu River is flowing into Lake Akimoto. 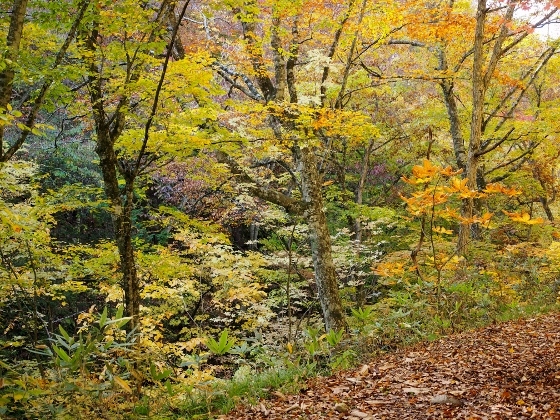 The trail was surrounded by autumn leaves as shown above. 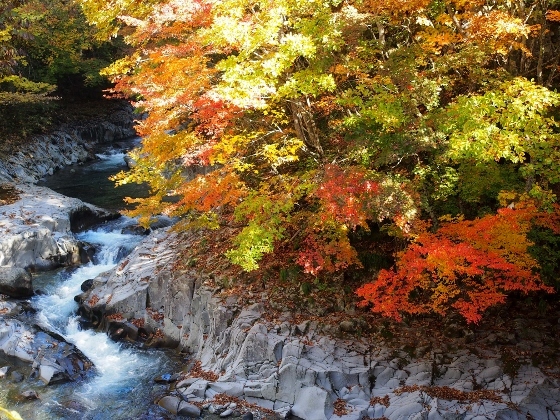 Meanwhile upper stream of the Nakatsu River appeared as shown above surrounded by autumn leaves. 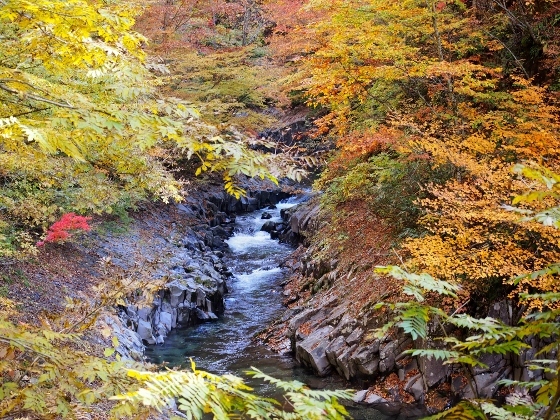 This area is called Nakatsugawa Valley which is a popular spot in October. Maybe the best time had just passed.